The Hall was not mentioned in the Domesday Book but the original building was thought to have been originally constructed when the woodland from which it derived its name was cleared in the 12th or 13th centuries. In the early years the estate was in the possession of the Kirby Family. By 1444 Thomas Palmer had acquired the property and built up a large estate having purchased lands in Holt, Medbourne, Drayton and other villages. He laid out a large park most likely for hunting purposes, he also made additions to the Hall including the Church. In 1457 his eldest daughter Katherine married William Nevill from a family at Rolleston in Nottinghamshire. On Thomas Palmer's death in 1474 having no sons his daughter inherited the estate and came with her husband to live at Holt and so gave it its present name. Katherine and her husband ( who died in 1497) were followed at Holt by their son Thomas Nevill who died in 1503 and as a result his grandson also called Thomas inherited the estate. His parents died when he was a minor so he was raised by another family. He is believed to have fought for King Henry 8th in his Scottish campaigns and was knighted as a result. He became an important landowner in Leicestershire and fulfilled several duties such as Justice of the Peace and High Sheriff of Leicestershire. He purchased further lands in the area and carried out extensive additions to the Hall. Sir Thomas had an only daughter Mary but an illegitimate son Humphrey Blunt to whom he left the estate on his death. Mary Nevill had married Thomas Smyth who agreed to change his surname to Nevill and on the death of Humphrey the property passed to their son also called Thomas Nevill. He moved to Holt in 1590, not as wealthy as his father, was believed to follow the Catholic faith which at that time was against the law. He married Jane Haughton and had seven sons and three daughters. He carried out further extensions to the Hall, possibly including the stable block He died in 1636 and was succeeded by his eldest son Henry. William was the eldest son of Henry Nevill and also fought for the Royalists in the Civil War. Little is known about his time at Holt, although it is thought that he may have gone into exile with King James 2nd following the Glorious Revolution in 1688. The son of William Nevill and was born in 1643. He made further additions and alterations to the Hall and was a practising Catholic after 1690. He owned a townhouse in London and became quite wealthy. He married Margaret Napier and had two sons and four daughters. The eldest son had mental problems and was confined to a special room in the Hall. Henry died in 1728 and following his death the estate passed to his daughter Mary Nevill..
Mary married a wealthy Italian banker Count Migliorucci and when he died in 1726 she inherited his fortune. When Mary died in 1742 her only son Cosmas succeeded to the property. He married Lady Mary Lee in 1742 and had four sons and four daughters. He died in 1763. 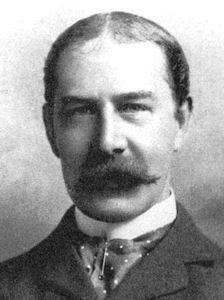 Following the death of Charles, Cosmas Nevill inherited the estate. It is believed that the family continued to live an extravagant life style and this coupled with their papist beliefs eroded their finances and their social standing in the country. Cosmas was to be the last owner of the estate in the Nevill family. A Canadian by birth he had a great love of the English countryside and enjoyed hunting and fishing. Between 1878 and 1888 he was the Master of Foxhounds in an area later to be known as "Fernie Country". His tenure coincided with a dispute with the Quorn Hunt which much later resulted in the formation of the Masters of Foxhounds Association. He married a wealthy American heiress and in 1896 their daughter Nancy was born. Nancy grew up to renounce her privileged upbringing and became a well-known writer and political activist. Famous for her lifestyle and romances she always fought for the oppressed and was noted for her work in the Spanish Civil War. 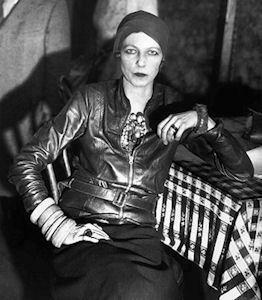 In later years she suffered health problems and died in Paris in 1965. 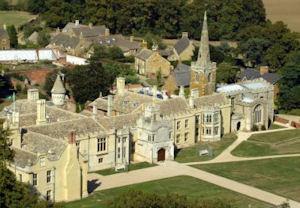 In 1919 the Reverend Bowlker purchased the estate and opened a preparatory school. In 1928 the Phillips family purchased the property and through the course of two generations continued to run the preparatory school until it closed in 1998 due to the falling number of pupils. In 2000 the estate was purchased by David Ross a well-known businessman and entrepreneur. He has carried out considerable renovation work at the Hall including the conversion of part of the stable block into a theatre where very successful evenings of opera are held.